Akin to the way he lives his life, 28-year old Tom Hall rose to the top in record time, becoming Crowd Academy’s first ever Cadet Graduate and Certified Crowd Machine Developer, in a mere 51 hours! Not a surprise really, Tom has rapidly excelled his entire life. Originally from Milan, Italy, Tom moved to the UK as a child, where he was awarded a scholarship at the Westminster Cathedral Choir School at the wee age of eight years, playing both piano and flute. 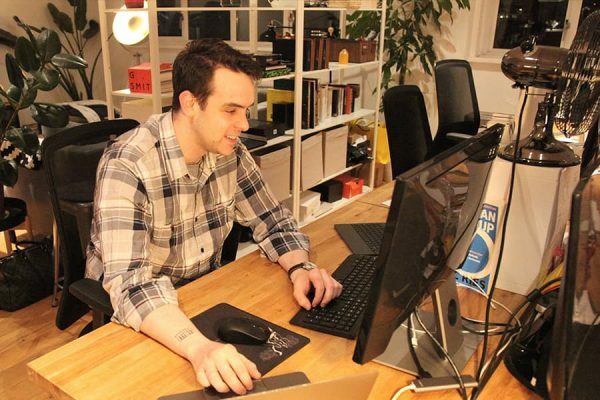 While Tom set off on a career in accounting, he taught himself how to code in his spare time. The manual requirements inherent in the accounting profession led him to seek methods by which machines could handle these formulaic tasks. Alongside his career, Tom pushed himself for more knowledge, teaching himself how to build iphone apps, web apps, databases, trading algorithms, and more recently, DApps for distributed web technologies. Pushing himself even further, in his spare time, Tom can be found scaling mountains around the world; having climbed peaks in the UK, US, and Peru. Tom, a self-described “creative” and “risk taker” has always aimed to keep his knowledge broad and relevant recognizing that technology moves so fast that there isn’t always time to learn everything. Tom was introduced to Crowd Academy while attending the Oxford Blockchain Strategy Programme in 2018, where he met Crowd Machine CEO, Craig Sproule. Despite his skepticism of “zero-code”platforms, over a pint in a pub with Craig, Tom made the decision to give Crowd Academy a go.